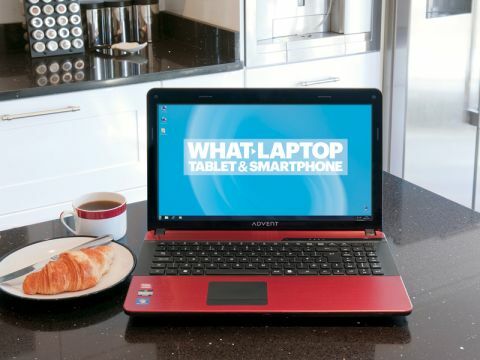 Advent's Monza E1 is an eye-catching laptop aimed at first-time buyers. Despite offering a decent specification for the price, though, it is undermined by poor performance and flawed usability. At 2.5kg this is a laptop built for use at home, rather than on the move though. This was highlighted by the awful 107-minute battery life, meaning there's not even enough power to watch a full movie. That's not to say that this is not a decent laptop for enjoying photos and videos, though. The 15.6-inch screen is sharp and bright and delivers gorgeous colour reproduction. Images pop from the screen and are rendered with stunning clarity, so as long as you're plugged into a power point, this is a decent entry-level media machine. Poor performance is the Advent's Achilles heel. The dual-core AMD E-450 processor struggles with even the simplest tasks; applications run sluggishly and the laptop is brought to its knees by basic multitasking. Graphics are equally poor and there's little power on offer for media editing. The integrated AMD graphics card is fine for viewing photos or even watching high-def videos, but it shows its weaknesses as soon as you try to edit videos or run 3D games. If you're after a powerful media laptop, there are far better machines available. The touchpad fares better and proves accurate and responsive to use. It's not quite as large as we'd have liked, but it is fine for quickly navigating the screen. The mouse buttons are slightly less functional and you have to press at quite specific points for them to register, which can get a little frustrating when trying to work quickly.